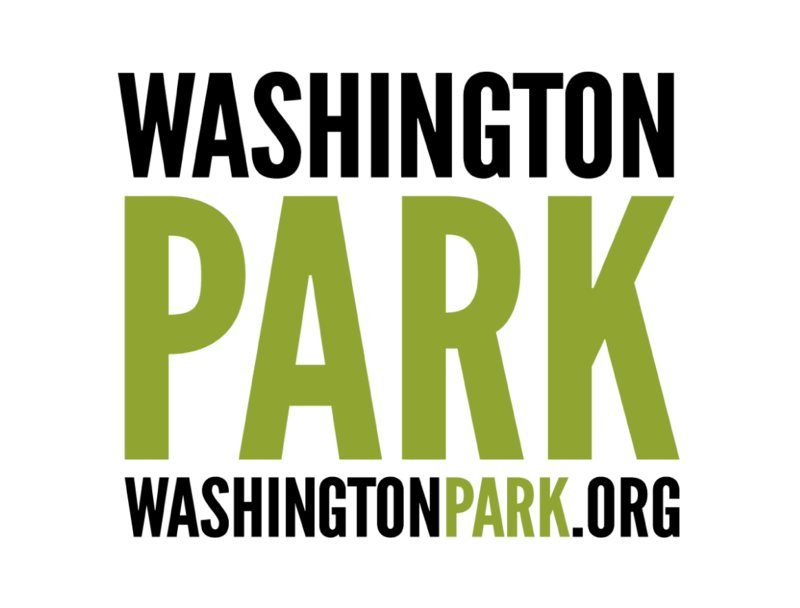 T-shirt design to promote the "Park It Here" marketing campaign that educated the public about the new garage. Pole banners for all four seasons were designed to go around the exterior of Washington Park. These, and other visual elements, helped to define this new space. Washington Park desktop wallpaper was used to assist with branding the new space in the minds of young people.